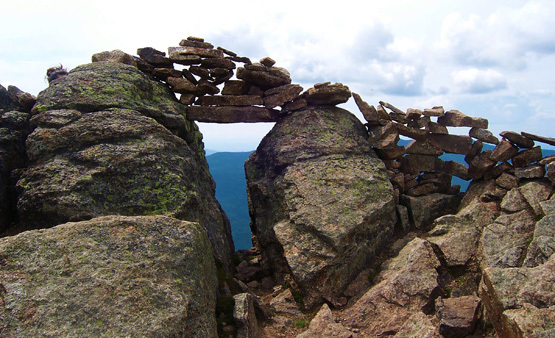 Mount Liberty is a 4,459 foot mountain in the Franconia Range of the White Mountains. It is one of 6 mountains in the Franconia Range, though, only 4 of them being 4,000 footers. Mount Liberty is the second shortest, after Mount Flume. 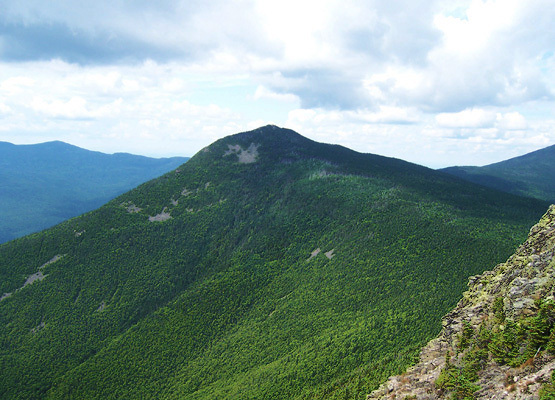 Many people choose to hike Mount Flume and Mount Liberty on the same hike, this is known as Peak-Bagging (also mountain bagging, hill bagging, summit to summit). It is a great way to cross multiple mountains off your list in one day, and not to mention have multiple views! If you choose to hike both mountains, it is wise to hike up to Mount Flume via the Flume Slide Trail, then over to Mount Liberty, and down the Liberty Spring Trail, which is also part of the Appalachian Trail. The Flume Slide Trail is extremely steep for around a mile starting at the summit. It is called the Flume Ledges. Both the views on each mountain are incredible and breath-taking. The shortest trail up to the summit of Liberty is the Liberty Spring Trail, and would take 8.2 miles there and back. It will take 10.1 miles to peak-bag both Liberty and Flume. 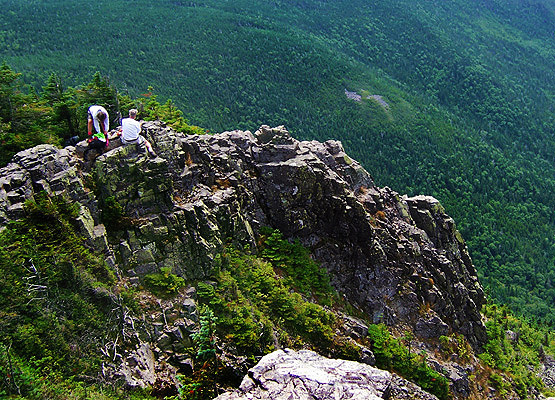 Mount Flume is a 4,328 foot mountain in the Franconia Range of the White Mountains overlooking Franconia Notch. 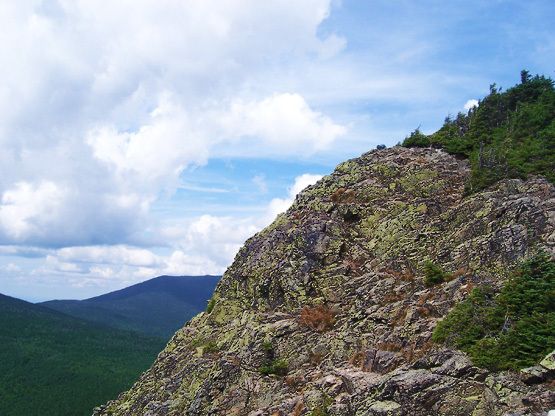 It is one of 6 mountains in the Franconia Range, though, only 4 of them being 4,000 footers. Mount Flume is the shortest. The shortest trail up to the summit of Flume is via the Flume Slide Trail, and would take 9.6 miles there and back. (But again, it is not a good idea to hike down the Flume Slide Trail, especially when it is wet out.) It will take 10.1 miles to peak-bag both Liberty and Flume. Mount Liberty as seen from the summit of Mount Flume on August 14, 2011. 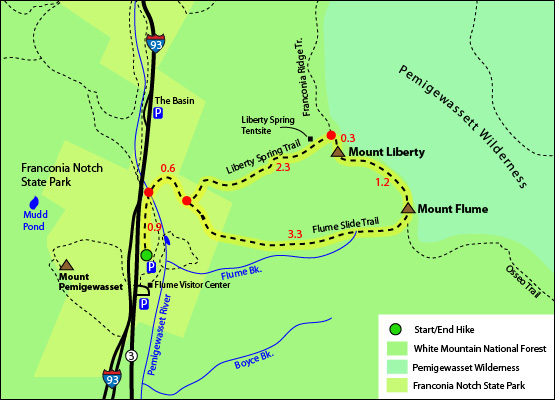 The map below shows how to get to the summit of Mount Liberty, as well as Mount Flume. This is a loop hike (see map below) starting at the Whitehouse Trail head at the Flume Visitor Center. From the parking lot, you will start the hike off by hiking 0.9 miles almost parallel to the highway (some of which is a bike path). Then at the junction turn to get towards Liberty Spring Trail, which is also part of the Appalachian Trail. Hike for 0.6 miles until you come to a fork where you can turn right to head up Mount Liberty, or Left to head up Mount Flume via the Flume Slide Trail. (GO RIGHT. It is not a good idea to end up having to hike down Mount Flume due to its incredible steepness on the Flume Ledges.) It is 3.3 miles until you reach the summit of Mount Flume (roughly 4 hours for the average hiker.) After you enjoy the views on the summit of Flume, continue over the summit for 1.2 miles until you reach the summit of Mount Liberty. To head back down to the parking lot, start your hike down on the Liberty Spring Trail. Hike for 0.3 miles until you come to a junction where you will turn left. 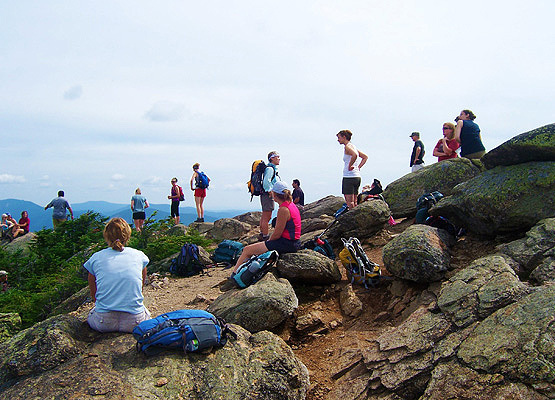 (If you stay right, you will end up at Little Haystack Mountain in 1.9 miles). Once on the Liberty Spring Trail, hike down for 2.9 miles until you reach a junction where you will head left for the last 0.9 miles (partly on the paved bike path) until you reach the parking lot. Looking up to the summit of Mount Flume. Photo taken on August 14, 2011. Summit of Mount Liberty on August 14, 2011. Right below the summit of Mount Flume on August 14, 2011. The parking lot for this hike is near the Flume Visitor Center at the Whitehouse Trailhead Parking Lot, off exit 34A on I-93 in Lincoln, New Hampshire. If you are driving and pass The Basin, you drove too far.